Are you using the same retractable belt barriers in different areas of your facility? While this is a cost-effective way to use your equipment, storage and transport can become a huge hassle. You don’t want to purchase a system for each area, but moving more than a couple of stanchions can prove quite difficult and time consuming. Thankfully, LineLogic offers a number of storage and transport options to maximize space, time, and efficiency. Our most recent transport option comes from Visiontron. 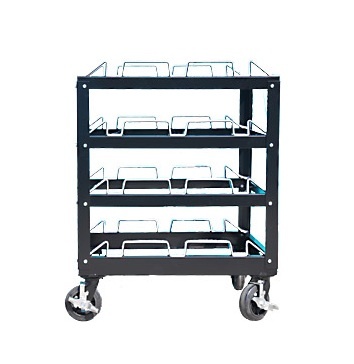 This 12-post storage cart is designed and manufactured here in the US and made from 14 gauge stainless steel with six-inch industrial wheels and padded post locks. The low height (2-feet) makes for easy loading, storage, and transport. Using a storage cart also protects your crowd control posts from dents and scratches, ultimately leading to a longer-lasting system. With a standard stanchion priced at around $100, and the storage cart from Visiontron priced at $599, you’re looking at spending what you would for five or six stanchions, yet you eliminate the need to purchase multiple systems, and you will also maximize storage space exponentially. 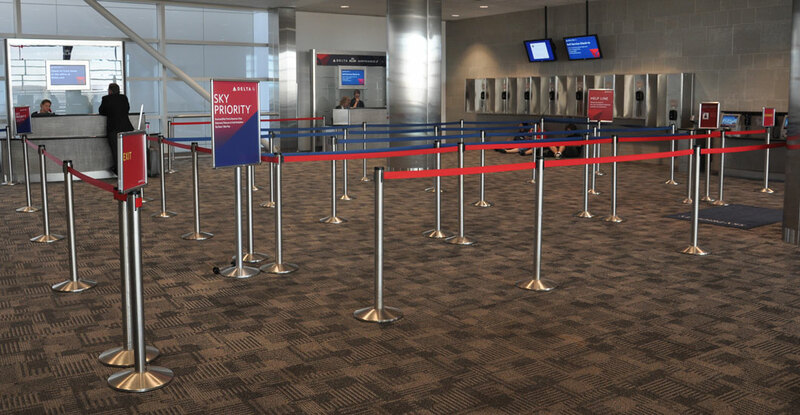 Say you have 10 stanchions that you use in three separate areas of your facility. If you purchased a separate system for each area (30 stanchions), you’d be looking at nearly $3,000. With a storage cart, you can buy 10 stanchions, and use the storage cart to move those same 10 stanchions between the designated areas. You’ve cut your costs nearly in half. While an initial investment of $599 seems like a lot, the return on investment is staggering. If you’re interested in talking about the Visiontron storage cart, or exploring another storage and transport option, give us a call at 888.404.7892 – we have plenty of options for any budget.